Bring dawn all ingredients(3) and reach 30000 points to complete the level. This is again hard level as you need to bring down just three ingredients but with little complicated board that divided into three parts. You need to bring ingredients to bottom of top left part of the board. To complete this level you should try to play more with top left side part of board or at any other part if you have chance to make special candy or don’t have choice. You should try to make special candies and try to combine special candies to each other to reach requirement within less move. 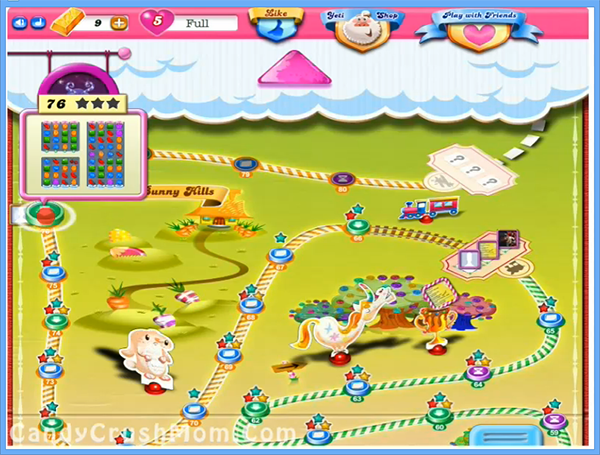 We completed this level with 69060 score by combing special candies to each other and reach requirement before four moves that converted to striped candy.